The alliance is working to ensure that resilience programming is a core component of dry-land programs in the Horn of Africa. In April 2012, the Global Alliance for Action for Drought Resilience and Growth, an informal network of donors and international organizations, was formed in response to a call from Intergovernmental Authority on Development (IGAD) Heads of State to support an initiative to end drought emergencies in the Horn. Members of the Global Alliance are committed to enhance resilience against chronic drought and promote economic growth in the Horn of Africa and the Sahel. The Global Alliance brings together relief and development actors and resources around common plans to promote alignment, coordination, and harmonization efforts. In the Horn of Africa specifically, the Global Alliance is committed to support the development of an IGAD regional common program paper (RPP) and the development of country-level program papers (CPPs) by member states in the IGAD region. The Global Alliance first met in Geneva in June 2012, where members agreed to support a number of key priorities to advance the drought resilience agenda. These include: i) support for the development of common programming frameworks; ii) common monitoring and evaluation frameworks; iii) a knowledge management agenda; and, iv) IGAD capacity building. USAID was designated to serve as the “convener” for the Global Alliance. 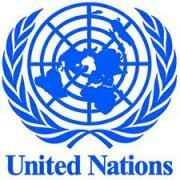 The work of the United Nations reaches every corner of the globe. Although best known for peacekeeping, peace building, conflict prevention and humanitarian assistance, there are many other ways the United Nations and its System (specialized agencies, funds and programmes) affect our lives and make the world a better place. 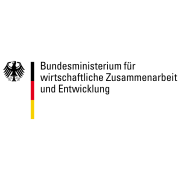 The Organization works on a broad range of fundamental issues, from sustainable development, environment and refugees protection, disaster relief, counter terrorism, disarmament and non-proliferation, to promoting democracy, human rights, gender equality and the advancement of women, governance, economic and social development and international health, clearing landmines, expanding food production, and more, in order to achieve its goals and coordinate efforts for a safer world for this and future generations. IGAD was created in 1996 to supersede the Intergovernmental Authority on Drought and Development (IGADD), which was founded in 1986. This followed the recurring and severe drought and other natural disasters between 1974 and 1984 that caused widespread famine, ecological degradation and economic hardship in the Eastern Africa region. Although individual countries made substantial efforts to cope with the situation and received generous support from the international community, the magnitude and extent of the problem argued strongly for a regional approach to supplement national efforts. In 1983 and 1984, six countries in the Horn of Africa (Djibouti, Ethiopia, Kenya, Somalia,Sudan and Uganda) took action through the United Nations to establish an intergovernmental body to collectively combat drought and desertification in the region. The Assembly of Heads of State and Government met in January 1986 to sign the agreement that officially launched IGADD with headquarters in Djibouti. The State of Eritrea became the seventh member after attaining independence in 1993 and South Sudan joined in 2011. In April 1995 in Addis Ababa, the Assembly of Heads of State and Government made a declaration to revitalize IGADD and expand cooperation among Member States. On 21st March 1996 in Nairobi, the Assembly signed “Letter of Instrument to amend the IGADD Charter” establishing the revitalized regional organization with a new name, “Intergovernmental Authority on Development”. IGAD with expanded areas of regional cooperation and a new organizational structure was launched during the Summit of the Heads of State and Government on 25th November 1996 in Djibouti. 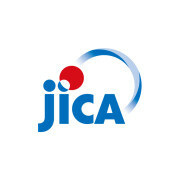 - Economic cooperation and integration. - Promote and realize the objectives of the African Economic Community. 1. THE ASSEMBLY OF HEADS OF STATE AND GOVERNMENT; The Summit is the supreme policy making organ of the Authority. The Summit determines the objectives, guidelines and programmes for IGAD and ordinarily meets once a year. A Chairman is elected from among the Member States on a rotational basis. 2. THE COUNCIL OF MINISTERS; The Executive Council is composed of the Ministers for Foreign Affairs and one other Focal Minister designated by each Member State. The Council formulates policy, approves the work programme and annual budget of the Secretariat. 3. THE COMMITTEE OF AMBASSADORS is comprised of Ambassadors or Plenipotentiaries accredited to the country of IGAD Headquarters, i.e. Djibouti. The Committee convenes as often as the need arises to advise and guide the Executive Secretary. 4. THE SECRETARIAT is headed by an Executive Secretary appointed by the Assembly of Heads of State and Government for a term of four years renewable once. The Secretariat assists Member States in formulating regional projects in the priority areas, facilitates the coordination and harmonization of development policies, mobilizes resources to implement the projects and programmes approved by the Council and reinforces national infrastructures necessary for implementing regional projects and policies. 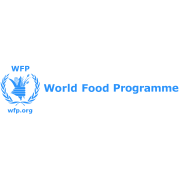 The Food and Agriculture Organization of the United Nations (FAO) has a long history of collaboration with Civil Society Organizations (CSOs) at the local, regional and global levels. As part of its partnership strategy, FAO works closely with federations and associations of farmers, fisher folk, herders, pastoralists, women, youth and indigenous peoples, and NGOs to help ensure that the aspirations of the poor, marginalized and the hungry are voiced. The private sector is an important ally for FAO in the fight against hunger. A thriving private sector is key to economic growth and sustainable development of agriculture, food, fisheries and forestry sectors. Moreover, much of the financing needed to attain the MDGs will have to come from private resources and investment. FAO works with a wide range of international and national private sector partners from various parts of the agriculture and food chain. It actively promotes national policies that foster private investment and private sector growth. FAO assists Member States, especially developing countries, to strengthen the local private sector and particularly agro-industry, business and farmers’ associations. From 35 offices around the world, some 1,900 specialized and dedicated OCHA staff work to ensure that effective assistance reaches millions of humanitarian beneficiaries in four continents. The scale and scope of global challenges requires working together in new ways, with new partners. Partnership has always been integral to OCHA's efforts. Sustained relations, built on trust and mutual respect, are vital when preparing for and responding to humanitarian emergencies. 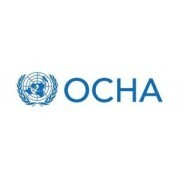 OCHA has a unique position within the international humanitarian system to convene and influence agendas. They will do this more strategically, with the aim of creating a more enabling environment for humanitarian action. The expectations of OCHA have evolved since humanitarian reform. They will ensure that their services and support to partners also evolve and meet clients’ needs. They are focused on helping partners more predictably through humanitarian coordination leadership, strengthening coordination mechanisms, and improving the evidence base for humanitarian decision-making, planning and resource allocation. OCHA is responsible for bringing together humanitarian actors to ensure a coherent response to emergencies. The aim is to assist people when they most need relief or protection. A key pillar of the OCHA mandate is to “coordinate effective and principled humanitarian action in partnership with national and international actors”. Policy development is defined as one of OCHA’s three core functions. It aims to support effective and principled humanitarian action, saving lives and reducing suffering. It also underpins the role of the Under-Secretary-General/Emergency Relief Coordinator as principal advisor to the Secretary-General on humanitarian issues. OCHA has a unique mandate to speak out on behalf of the people worst affected by humanitarian situations. As the organization tasked with coordinating international humanitarian response, their ultimate goal is to save more lives and reduce the impact of conflicts and natural disasters. Whether they’re mobilizing relief money after a massive earthquake, ensuring vulnerable communities are protected, or raising awareness of forgotten crises, it’s their job to keep world attention focused on humanitarian issues. When an emergency occurs, OCHA’s information management officers immediately start working with key partners to produce standard information products to support coordination of all the humanitarian organizations and the response operation. These include the Who What Where (3W) database, contact lists and meeting schedules. Tools such as the information needs assessment and maps are made available to support better relief planning and action. The World Bank is a vital source of financial and technical assistance to developing countries around the world. 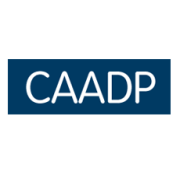 Their mission is to fight poverty with passion and professionalism for lasting results and to help people help themselves and their environment by providing resources, sharing knowledge, building capacity and forging partnerships in the public and private sectors. Established in 1944, the World Bank Group is headquartered in Washington, D.C. They have more than 10,000 employees in more than 120 offices worldwide.